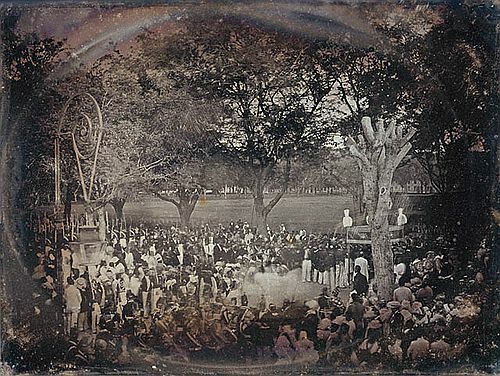 This photograph records the baptismal ceremony for the slaves of the West Indian island of Martinique, for whom the rite represented affirmation from the church of their recent emancipation from slavery. 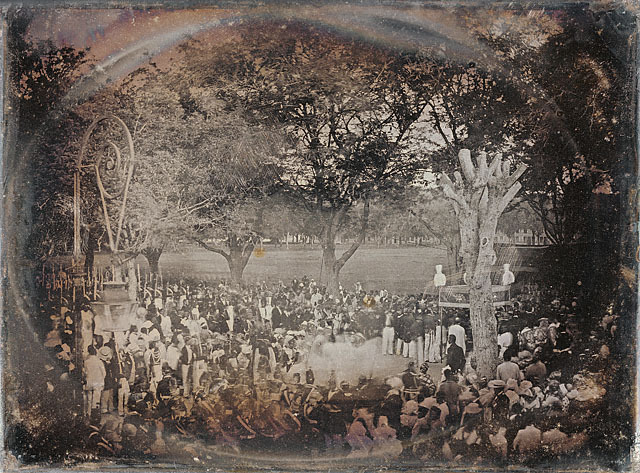 Within the densely packed throng, a white-robed group at lower center dissolves into a spectral blur, their exuberant movement uncontainable by the camera. Abolishing slavery in all its colonies was one of the goals declared by the new French provisional government in early 1848. Although news of this objective reached Martinique in late March, freedom was not formally granted until May of that year.